We hit the Bay area for fantastic interviews with Karin Kallmaker and Achy Obejas. We traveled to London for an interview with Sarah Waters to learn about her experience with Tipping the Velvet. We discussed key sociopolitical events that occurred in the UK surrounding that time and concluded our afternoon with a cuppa tea. We’d say it was a lovely experience. We flew to LA for a very heartfelt interview with Claire McNab, focusing on Lessons in Murder. Claire is funny, sweet, and still maintains her Australian accent. 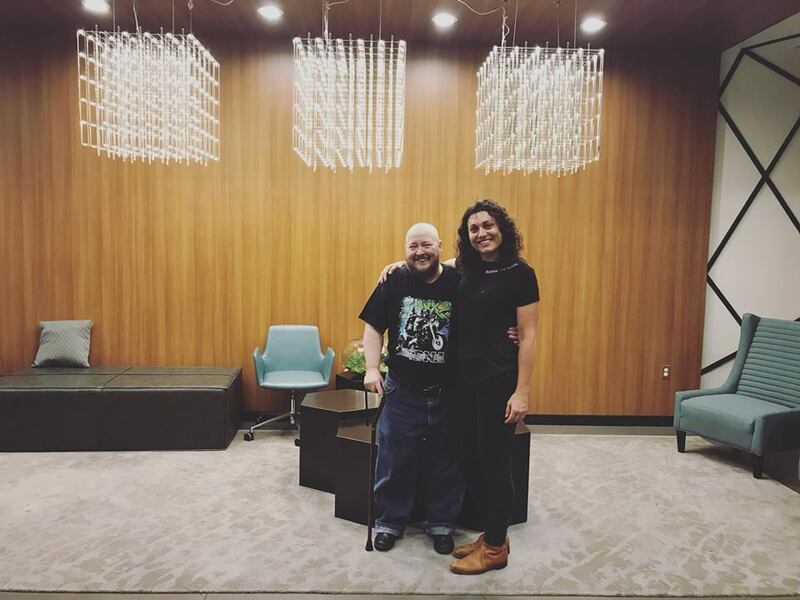 We came to Portland, OR to interview Patrick Califia with a focus on Macho Sluts published in 1988. 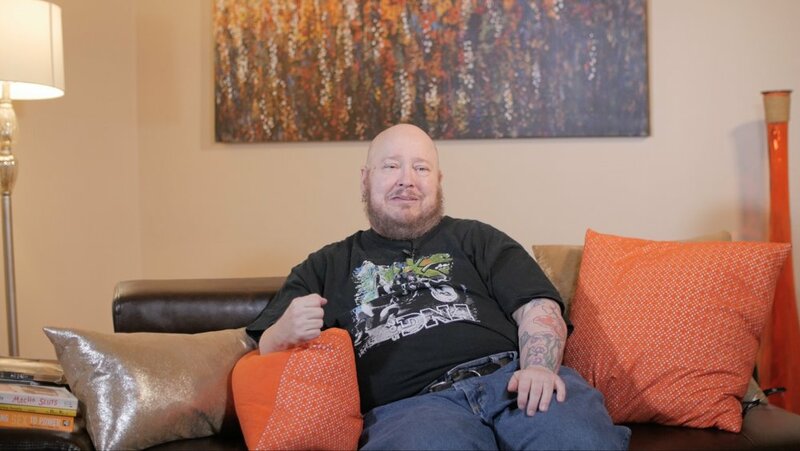 Patrick has since transitioned to male and remains an activist on many levels. What an informative and thoughtful interview, especially regarding the many identities we move through in life and being allies for all. All smiles after a great interview. Patrick spoke on activism and allies. The team gathered for strategic planning and brainstorming in Ann Arbor, MI. We are so fortunate to have such a beautiful working relationship in the spirit of this good work. We're happy to share some updates from the Golden Crown Literary Conference of 2018 in Las Vegas. Marianne & Cheryl gave a successful presentation to the conference attendees with updates on the project. 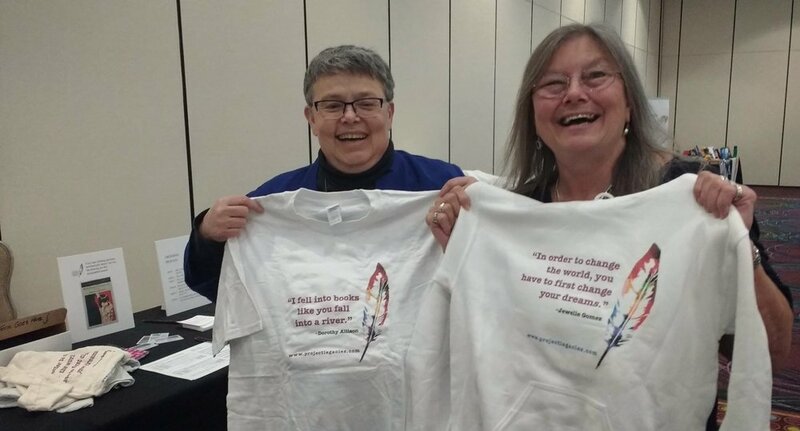 Check out the two icons of lesbian fiction, Elana Dykewomon and Dorothy Allison, displaying the Legacies of Lesbian Literature logowear sold at the GCLS annual conference as a fundraiser for the project. Check out Liz McMullen's interview with Cheryl Pletcher here. Marianne & Cheryl presenting at the 2018 GCLS. Excitement after a successful presentation. Elana Dykewomon & Dorothy Allison, sporting logowear. We ventured to Minneapolis, MN to interview mystery writer and Grand Master, Ellen Hart, with a focus on Hallowed Murder. Artist Kat Wilson came along for the trip to photograph Lisa Marie Evans for a photo essay on the filmmaker and documentary. Stay tuned. In January we interviewed Nancy Garden's widow, Sandra Scott, regarding her experience with the trial around Annie On My Mind. She also gathered many archival materials of Nancy Garden's to share with us. We then ventured to Lesléa Newman's home where she opened up her personal archives to us to gather materials. Take a listen to our interview with Elizabeth Andersen and The Tenth Voice KKFI. Cheryl and I pulled off the highway on the way to Virginia to give the interview, while Marianne K. Martin dialed in from Michigan. 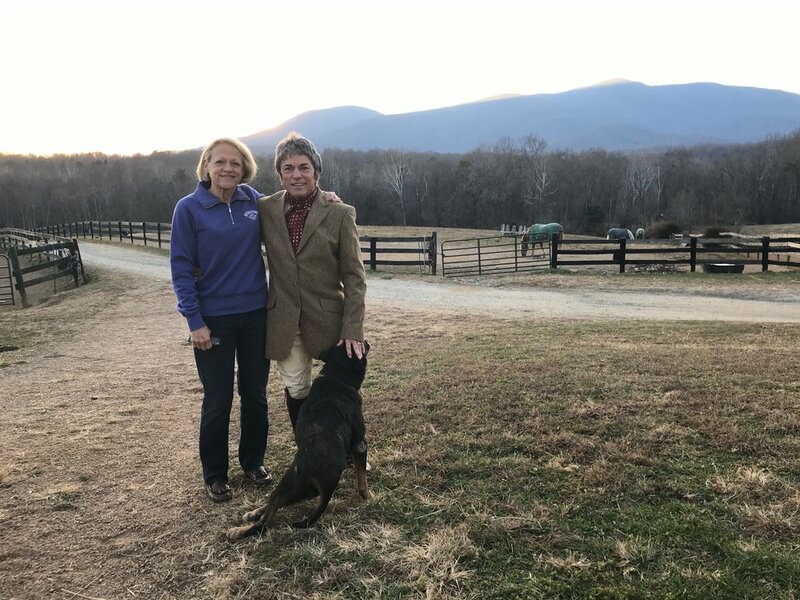 Cheryl and Lisa Marie ventured to Virginia for an interview with Rita Mae Brown and a visit to the University of Virginia to research Brown's special collection. Rita Mae gave an amazing reading. Just wait until you hear it. We stayed with Sandra Moran's mother, Cherie, while in VA where there are beautiful sunsets. We sent out our first newsletter... check it out here. 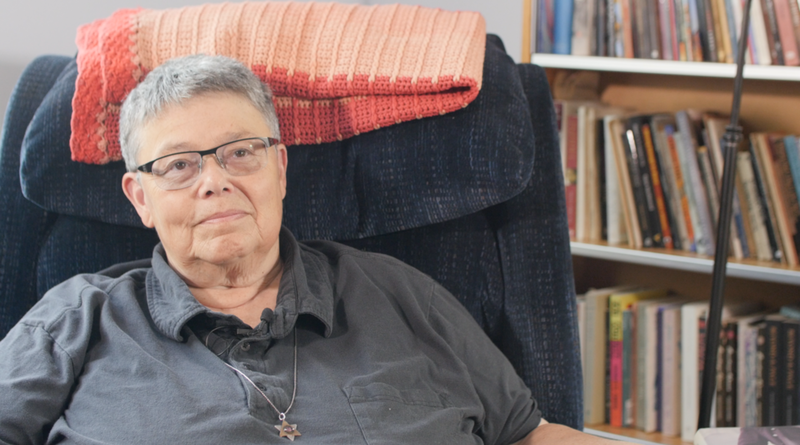 We took another trip to California to interview Elana Dykewomon and Katherine V. Forrest. We also spent time at the San Francisco Public Library's LGBT archives flipping through Katherine V. Forrest's collection. 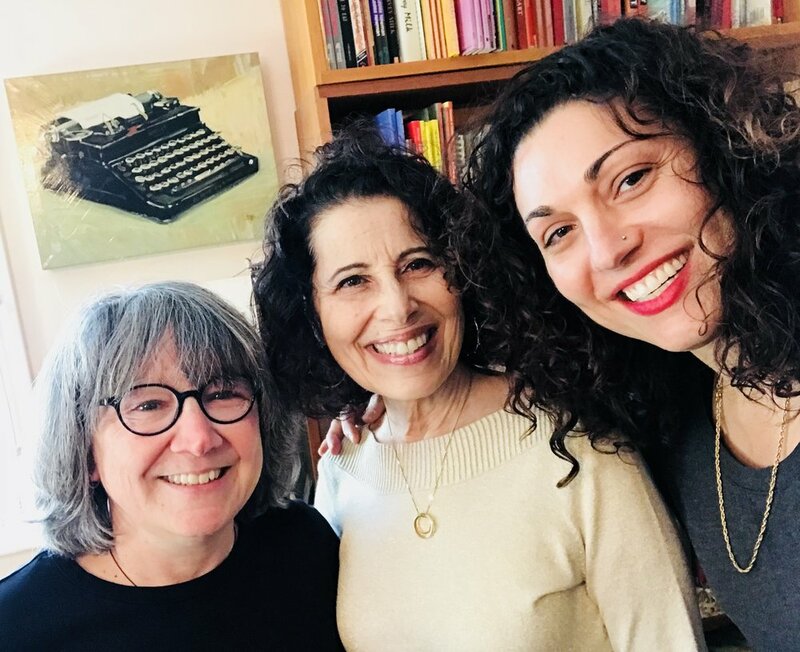 We attended the Golden Crown Literary Society's Conference in Chicago and interviewed Lesléa Newman, Penny Mickelbury, Fay Jacobs talking about her dear friends Anita Merchant & Muriel Crawford, and Lilian Faderman. I know, what an amazing group of women! Here's some photos to prove it. CAMP Magazine recently highlighted filmmaker, Lisa Marie Evans, and our project. Find out more here.